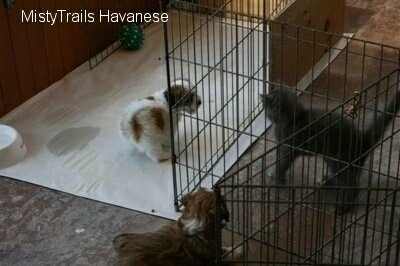 Kallie the kitten checking out the Conchita / Piper litter of Havanese pups. 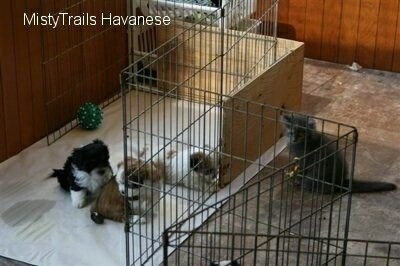 The pups are 6.5 weeks old, photo courtesy of MistyTrails Havanese. Kallie has the pups’ attention. 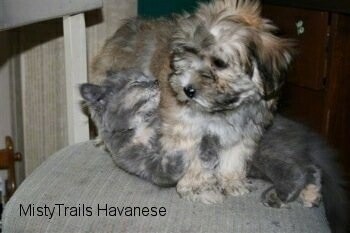 Photo courtesy of MistyTrails Havanese. 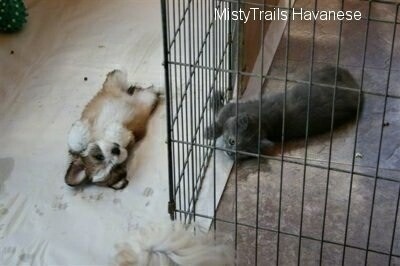 The pups are being potty trained using the Misty Method. Notice how they have a papered potty area, a place to eat and a place to play. 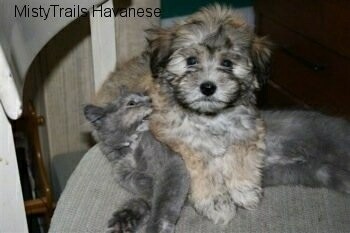 Photo courtesy of MistyTrails Havanese. Kallie going eye-to-eye with one of the pups! 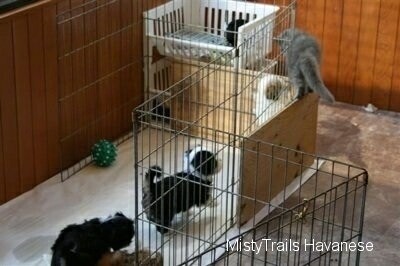 Photo courtesy of MistyTrails Havanese. 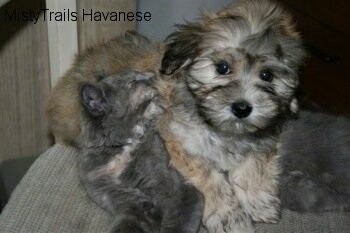 Kallie playing peek-a-boo, photo courtesy of MistyTrails Havanese. 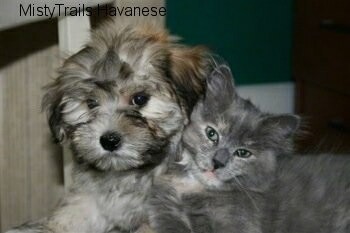 Kallie and one of the Havanese puppies, photo courtesy of MistyTrails Havanese. 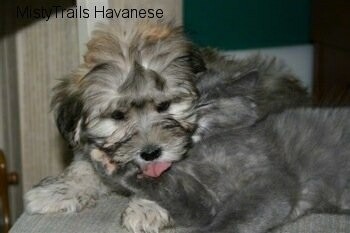 Photo courtesy of MistyTrails Havanese. Kallie wants to play with the puppy! 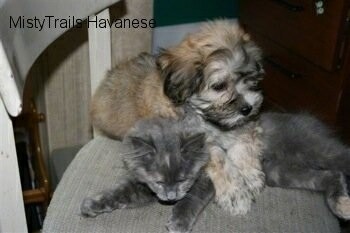 Photo courtesy of MistyTrails Havanese. 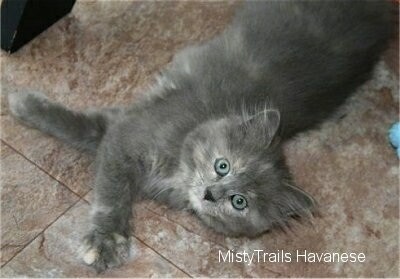 Kitty has paw under her chin and they kiss.